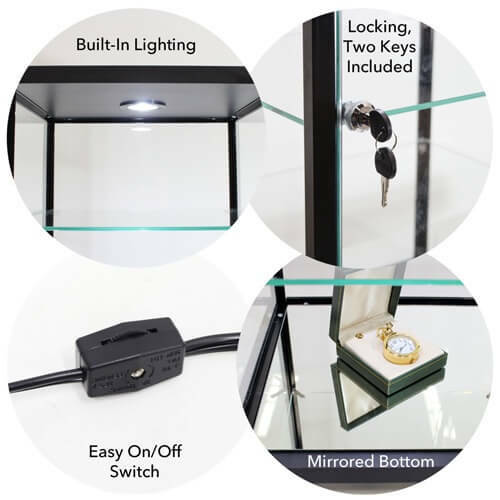 Lighted Square Countertop Showcase is a classy way to display more exquisite merchandise such as jewelry, high dollar sunglasses and so much more! 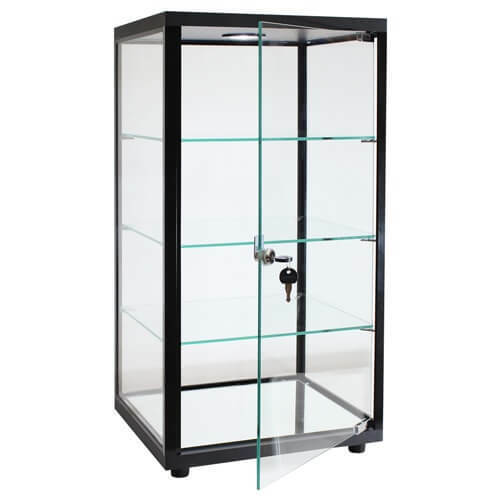 This counter top case comes with three thick glass shelves, tempered glass, LED lighting and locking hinged doors. 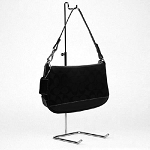 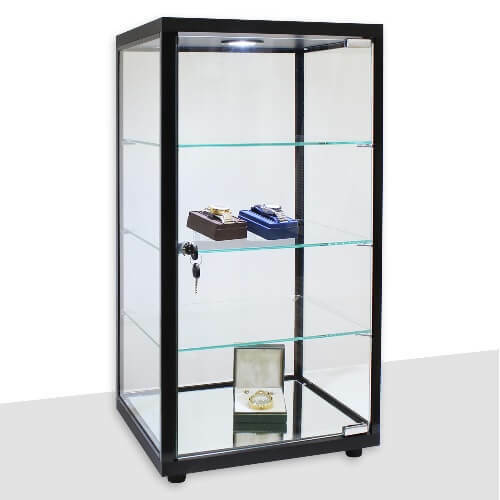 Add security and peace of mind for your valuable merchandise with this lighted square case. 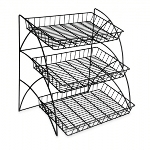 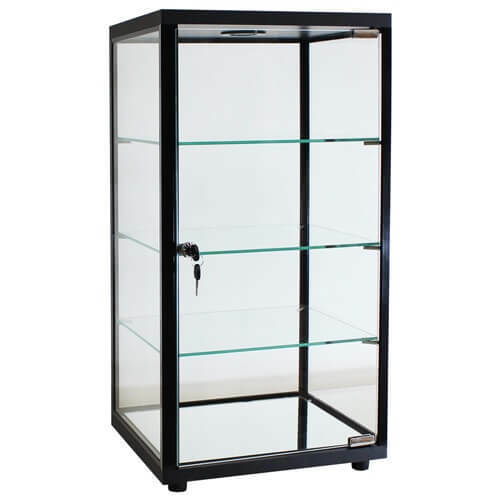 Order your elegant display case Today!